When I moved into my new house I went on a painting/upgrading spree, trying to improve each area. The one spot I never got around to is the entry closet. It turned into a dumping ground for coats and in the warmer months, I never even open this closet. I wanted the entry closet to not only look nicer and more organized, but to be able to hold our beach gear. 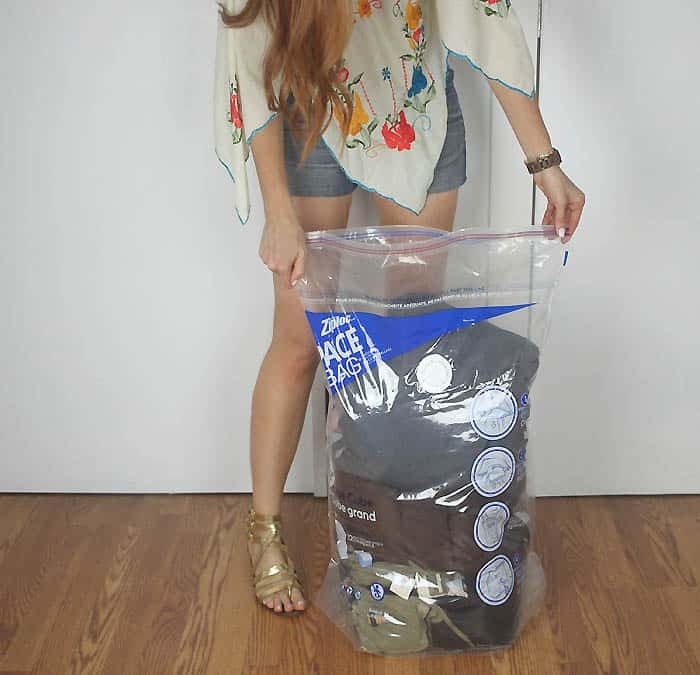 I teamed up with Ziploc® Space Bags® to give my closet a fresh, summer makeover! Here’s what the closet look like before- yikes!!! The first thing I did was remove everything and give the closet a new coat of bright white paint. Then I unscrewed the hanging bar and raised it up about a foot. This immediately made the small closet feel more spacious, plus it gave my more storage room underneath. I wanted to store a lot of the heavier coats. The down puffer jackets take up sooo much room in the closet! I used the Ziploc® Space Bag® 2 Cube Variety Pack to tackle the coats. The key is to choose the right Ziploc® Space Bags® for the right usage occasion. 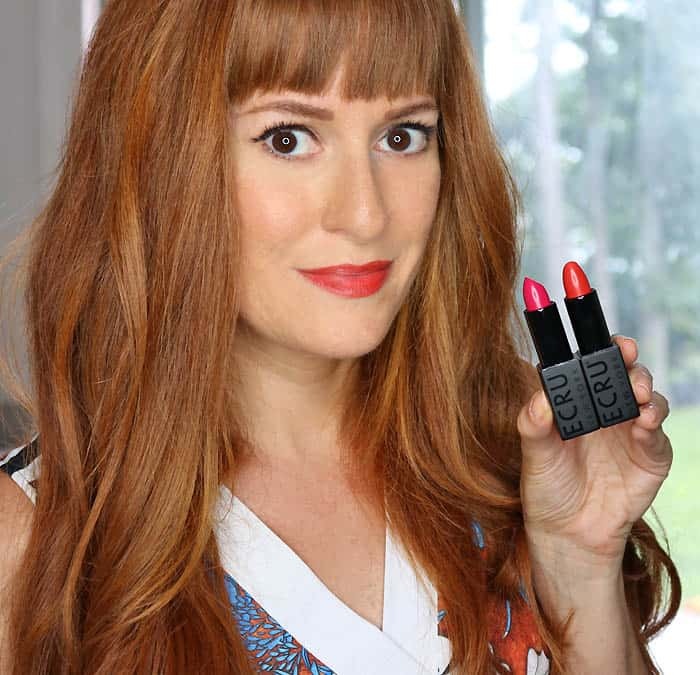 The cube bags are very large and they’re perfect for coats and other bulky items. Fold the coats nicely and put them in the Ziploc® Space Bag®. The bags are marked with a fill line at the top- don’t add clothes past this point. Once your clothes are neatly folded inside the bag seal it. The bags feature Ziploc® Double Zipper and an easy to seal slider. Here’s where the magic happens! Insert the vacuum into the attachment on the bag and watch it shrink up in a matter of minutes! The Ziploc® Space Bags® provides 3x the storage as compared to uncompressed storage volume. This bag was filled with down puffer coats and now it’s compressed flat making it easy to store. So cool! 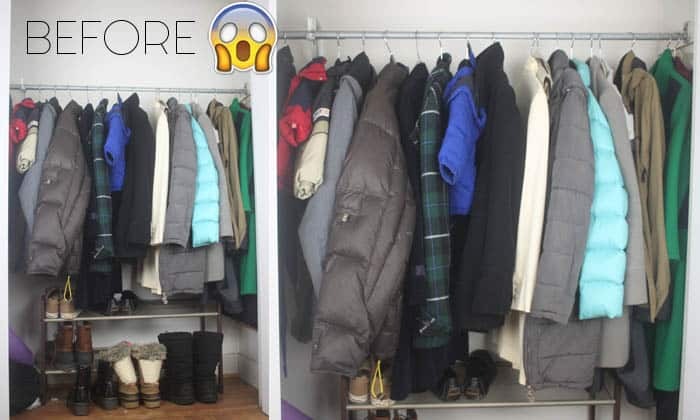 I tucked the bag away on the side of the closet, and then I did one more with the remaining bulky coats. The Ziploc® Space Bags® protect against dirt, bugs, mildew, and odors keeping your winter items safe. Once I saw the amount of space the Ziploc® Space Bags® created in my entry closet, I decided to tackle my pile of winter accessories. Ziploc® also makes these handy Flexible Totes. I piled up all my hats, gloves and scarves in the tote which freed up a bunch of room on the shelf. Ziploc® Flexible Totes have a zipper closure, handles for carrying and a mesh insert around the top which allows air to circulate. With all the newly free space I was able to store my beach bag, some towels and Indigo’s beach toys in the closet. Plus, the coats are crammed together on the bar which makes it look so much cleaner and more organized. 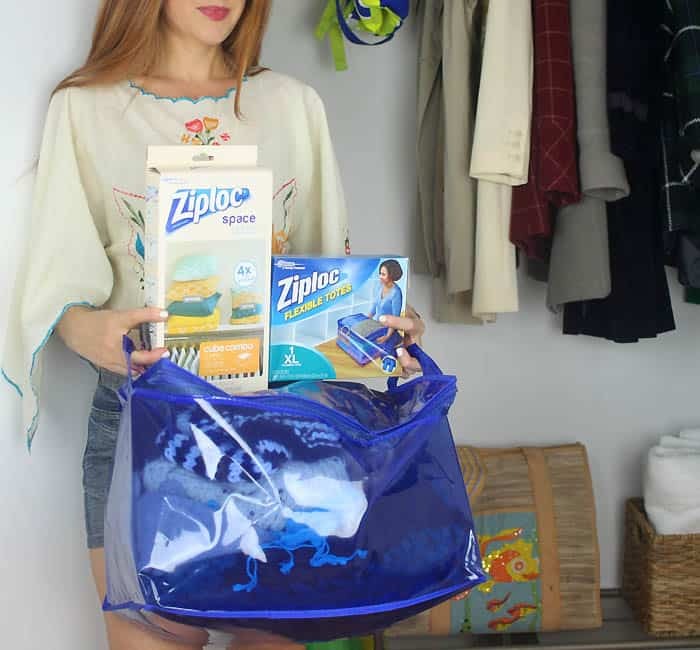 I’m loving my tidy closet- thanks Ziploc® Space Bags®! 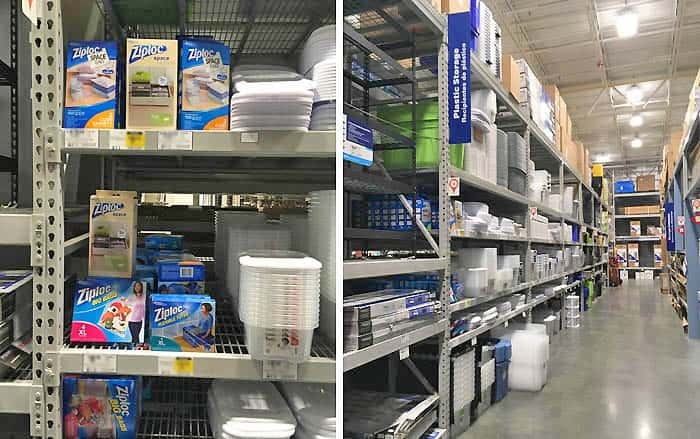 Do you store out of season items? I’d love to hear your methods!